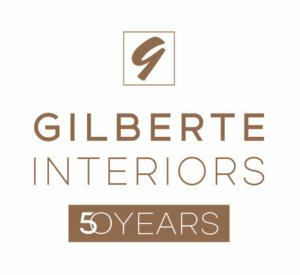 Gilberte Interiors, Inc. 50 Years of Design (1967–2017) - Gilberte Interiors, Inc. 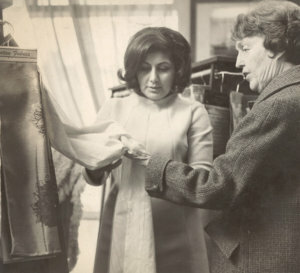 The impetus for the business began with my mother, who was raised in Marseille, studied fashion in France, and designed custom women’s couture from our home. Her passion for design and style eventually spilled over into interior design and her clients began asking her to create home designs. 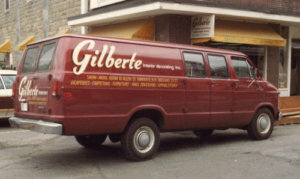 She and my father, who was a full-time engineer at Split Ballbearing (now part of Timken), recognized the demand for quality interior design and created Gilberte Interiors. 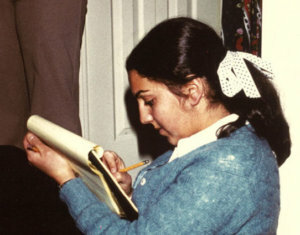 My father’s amazing knowledge of how things work and his talent for solving technical challenges proved the perfect complement to my mother’s chic sensibility and ability to translate her clients’ lifestyles and needs into beautiful finished interiors. Together, they brought visions to life, fabricating custom furnishings, cabinetry, and lighting. 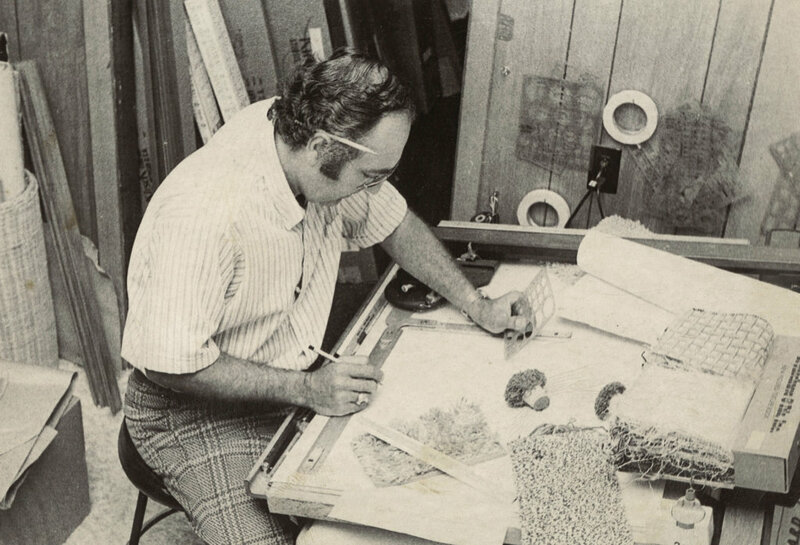 Within a decade of opening, the high demand for custom designs and first-quality craftsmanship made it clear that my parent’s business was ready to grow. My father joined my mother full time as they established a team of craftsmen and seamstresses to construct their designs. As time went on, they took on larger design projects, never compromising the quality fabrication and attention to detail. My brother, Aharon, and I were always part of the family business. 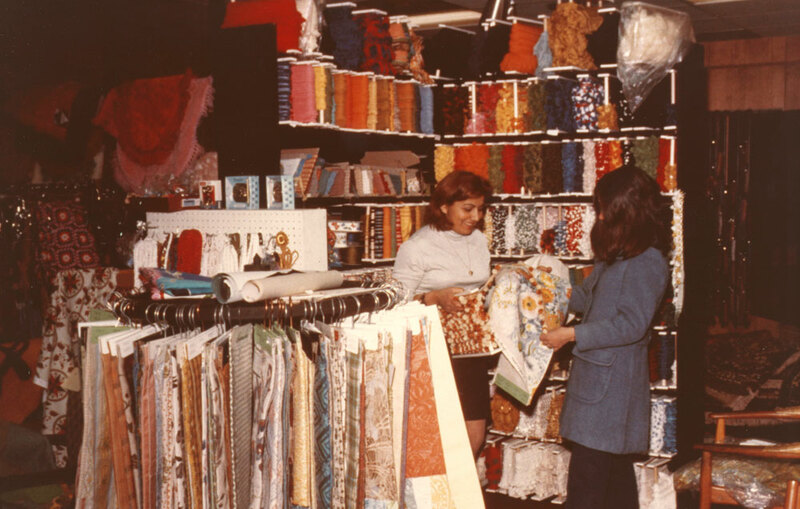 After school, we were always at the store, helping our parents and the Gilberte Interiors team wherever was needed: cleaning the workroom, lending a hand during installations, and spending Friday night reviewing paperwork. Over the course of our childhood, our parents quietly exposed us to the ins and outs of running an interior design business. After graduating from Hanover High School, Aharon followed his path to an education in economics and marketing while I went off to the Rhode Island School of Design and Syracuse University, focusing on interior design with an emphasis on industrial design and architecture. 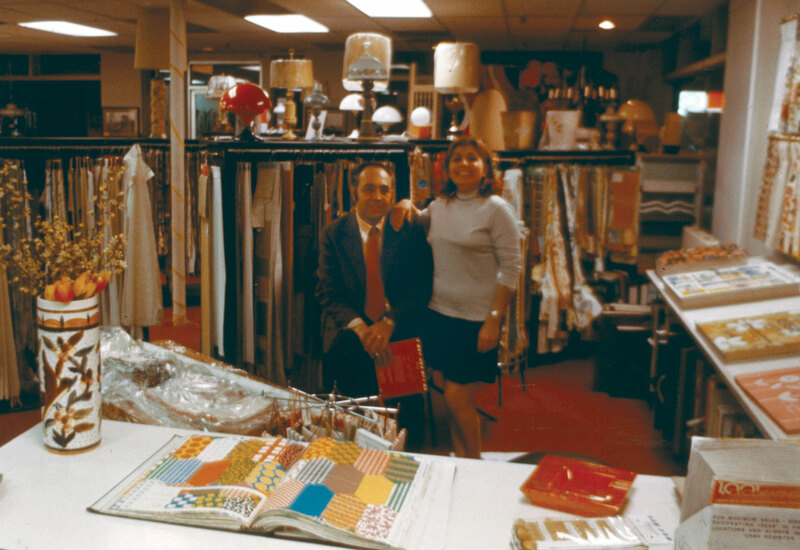 The foundation our parents provided through the business sped us along our separate career paths, which eventually lead us both back to Hanover and Gilberte Interiors. My husband, Neil, was soon swept into our family business as well, and we’ve all been working together for 35 years now. Recently, I was looking through our archived photos and samples from past projects—a vast living record we’ve kept in case a client wants to match or replace a previous creation. It’s incredible to see the number of families and businesses we’ve been a part of over the years and the diversity of the projects. Between these ever-growing archives, the incredibly extensive design library we maintain with swatches and samples, the showroom, and the workroom, it’s no wonder that we needed to annex a bowling alley, print shop, and dry cleaner to house it all! Now, a half-century later, my mom, Gilberte, is still an every-day part of the business, imparting on us her keen eye and joie-de-vivre. 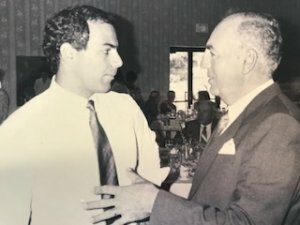 My dad, who passed away in the spring, continues to be an inspiration and his larger-than-life presence is felt in every facet of the business and family he and my mother built together. As we start our second half-century, we maintain the fundamentals my parents began with: beautiful design visions coupled with skillful fabrication and execution. Our lifetimes of experience in design and technical expertise and our hunger for innovative materials, furnishings, fixtures, and techniques fuel our passion for each new project. It’s been a privilege and honor to be welcomed into your homes and businesses and invited to be a part of your lives for these past 50 years. We hope you will be a part of ours for many years to come.